This is the statement that UPLB Chancellor Fernando Sanchez uttered during the December 8, 2015 meeting in the Chancellor’s Office with engineers of Physical Plant Maintenance and Services Office (PPMSO), which Engr. Danny Rey Camus attested. 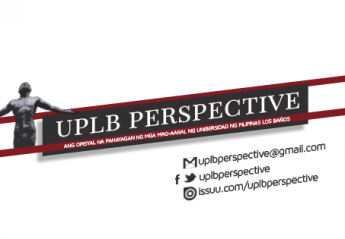 In an interview with the UPLB Perspective, former HRDO Chief Officer Palanca recalled that he asked to be excused when he heard the Chancellor’s statement during the said meeting, “Sir, tsisimis yan eh pwede ba ‘kong maexcuse na eh. Kung yan ay totoo Sir, kasuhan. Ground ‘yan for dismissal.” However, Sanchez insisted and asked him to stay in the meeting room. Chancellor Sanchez in his counter-affidavit says he “denied having uttered during the meeting that Dr. Tanqueco is having a relation with a staff of PPMSO” and denied having said that he felt ashamed to the husband of the PPMSO staff and to Tita Helen, the wife of Dr. Ruben Tanqueco. Moreover, Chancellor Sanchez claimed that he did not commit grave oral defamation against complainant Tanqueco because the words he uttered during the meeting were done in good faith in connection with the lawful exercise of his functions as Chancellor and disciplinary authority of UPLB, and in the exigency of public service. “Imagine you’re being maligned, di ba, in front of so many people, so ano yang prinoproject na image? I’m already working in the university for 37 long years, unblemished record, and then all of a sudden, aakusahan mo ko in front of so many people na ganito ako. Anong intention mo? So that’s precisely the reason why I filed a case against him,” says former PPMSO Director Tanqueco, who also served in the university as Vice-Chancellor for Planning and Development. On July 16, 2016, the grave oral defamation case was initially dismissed by the Office of the Provincial Prosecutor of Laguna after the preliminary investigation conducted. Dr. Tanqueco filed for a petition to review the Grave Oral Defamation case in the Office of the Regional Prosecutor. On January 24, 2017, petition for review has been granted by Regional Prosecutor Ernesto C. Mendoza, which reversed the July 16, 2016 ruling. The Office of the Regional Prosecutor countered the grounds on the dismissal of the case as privileged and private communication. In the said case, malice may not be presumed because statement is claimed to be privileged. However, the Office believes that evidence to prove malice has been evident in the Chancellor’s affidavit dated March 14, 2016. “In my capacity as Chancellor, I had a first-hand account of complainant Tanqueco’s subordination. This happened when I requested through the Vice-Chancellor for Planning and Development, Dr. Marish Madlangbayan, for materials for the repair of my assigned unit of the UPLB housing facilities about a week before our meeting on 08 December 2015. Complainant Tanqueco denied my request for materials. When I bought the repair materials from my own funds out of exasperation and in order not to delay the repair works to be done, complainant Tanqueco prohibited the PPMSO personnel under his immediate control and supervision, to conduct repairs, to the damage and prejudice of public service,” the complaint affidavit stated. On February 6, 2017, Provincial Prosecutor George Dee of the Municipal Trial Court pushed through with the filing of a “grave oral defamation” case against Dr. Fernando C. Sanchez, Jr. with criminal case no. 14539. Chancellor Sanchez posted bail at the Los Baños Municipal Trial Court last February 20, Monday, for the said case. Additionally, an administrative complaint lodged against him is under review for an alleged violation of the Omnibus Election Code.